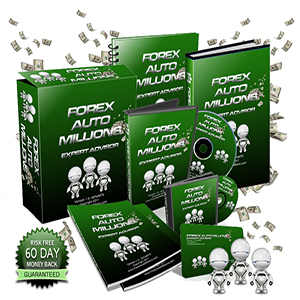 In this post I will review the very popular AvaTrade forex broker. AvaTrade have some of the most competitive low spreads I have seen and lightening fast execution speeds in comparison to many forex brokers. These factors amongst many others make AvaTrade one of the best forex brokers in my humble opinion. The AvaTrade support team is also excellent and on hand to rapidly answer all of your questions 24 hours a day in 15 different languages. This is important as I have found some brokers to always have their chat offline and even take days to respond to basic email queries. 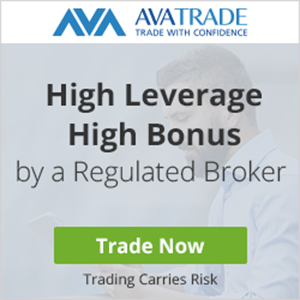 AvaTrade are a regulated forex broker across a very impressive 6 jurisdictions! 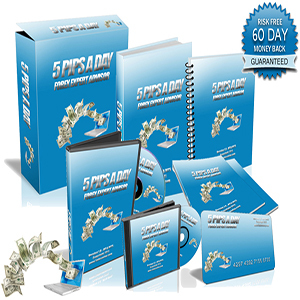 AvaTrade offer the ever in demand and most popular forex trading platform, MetaTrader 4 (mt4). This is available to trade via desktop, laptop, tablet or phone through the provided app. This way you can keep up to date with your trading activity on the go. AvaTrade has some of the latest market innovation including Sharp Trader which is a trading academy that is very useful to retail forex traders and DupliTrade which is a very innovative social trading platform where you can share trades and analysis with fellow forex traders. AvaTrade is good for beginners as they provide step by step educational guides to get you started with forex trading whilst also offering free demo accounts so that you can practice trading with an AvaTrade demo account. Once you are familiar and happy with AvaTrade, you can then open a real trading account easily and quickly with a minimum deposit suitable to most forex traders of just $100. 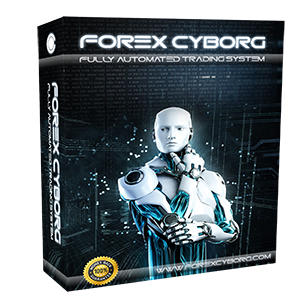 They even provide free eBooks and video tutorials giving you plenty of forex trading knowledge all in one place and at no extra cost. As well as wide range of forex educational tools, AvaTrade provides an economic forex calendar, technical analysis, fundamental analysis and important market updates. AvaTrade have plenty of forex currency pairs (50+ majors / exotics) and even cryptos for you to trade on with some of the most impressive trading conditions from my experience. 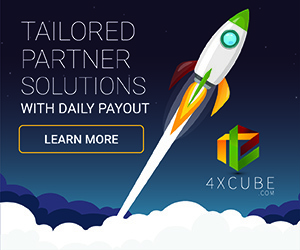 They also provide expert advisors (or you can use your own) along with copy trading platforms where you can copy trades of professional forex traders. AvaTrade have won multiple awards over the years including best European broker, best trading experience, best dealing room and best broker. Primarily, AvaTrade offers a standard account which requires only a $100 deposit to take advantage of the superior trading conditions they provide whilst you can also test them out with a completely free demo forex trading account. Muslim traders can use the ‘swap free accounts’ on offer from AvaTrade. Professional trades are also catered for with the MAM (managed) account options provided. 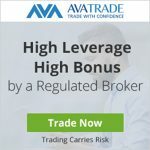 What leverage do AvaTrade offer? Depending on your geo location, AvaTrade can offer leverage from 30:1+. What deposits do AvaTrade offer? AvaTrade offer a wide variety of deposit / withdrawal method to their clients including credit cards (VISA, MasterCard, debit), Bank Wire Transfers and E-Wallets including Paypal, Skrill, NETELLER and WebMoney. What regulation does AvaTrade have? AvaTrade has regulation with CBI, FSO, B.V.I, ASIC, IIROC, FSCA, FFA, and FSC across an impressive 6 jurisdictions. These regulatory licenses span across 5 continents with AvaTrade having a wide global offices presence. AvaTrade are hands down one of my favourite forex brokers and there is a reason they have been around so long and had some huge sponsorship deals along with multiple awards won. That aside, the trading conditions I have found to be extremely competitive for the average retail forex trader with plenty of liquidity that ensures fast execution with minimal slippage. Not to mention the very low spreads (especially on major pairs) and excellent customer support (rapid!). Visit the AvaTrade official website to checkout all of the great benefits they provide to clients and get your free forex demo account to start trading with one of the largest forex brokers out there!